Palvi power tech sales pvt. Ltd., established in 1995 as a partner ship firm trading in chemicals, engineering items and products particularly catering to power sector, is now a rapidly growing organization having manufacturing & trading operations in india and trading activities in u.A.E. 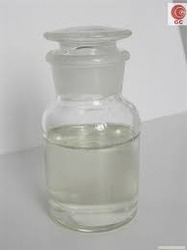 Its operations in india includes manufacturing of molybdenum based products as well as export of industrial chemicals and agro products to africa, indian subcontinent, usa, europe etc. Whereas uae operations look after supply of industrial and agro products in the middle east and adjoining region. The company has plans to venture into manufacturing other products and have already accured additional site for the purpose. Other than our own prepared products, we also represent some of the reputed and quality preparers in india, as quality and commitment to our customers is our motto. From a simple trading company, today, being a star export house recognised by govt. Of india, palvi power tech sales pvt limited is a major player in international business community catering to textiles, pharmaceuticals, agrochemicals & mining industries, to name a few.